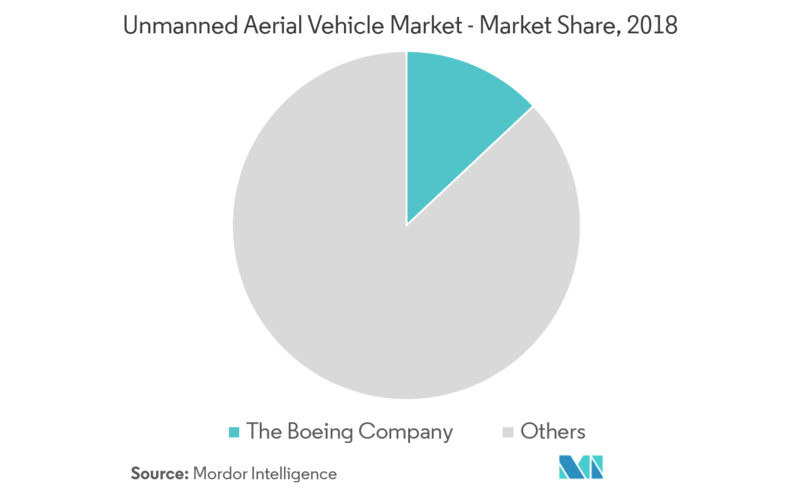 The Unmanned Aerial Vehicles Market is segmented by UAV Size (Small UAV, Medium UAV, and Large UAV), Application (Military and Civil and Commercial), and Geography. The unmanned aerial vehicles (UAV) market (henceforth, referred to as the market studied) is anticipated to register a CAGR of more than 10%, during the forecast period (2019 - 2024). 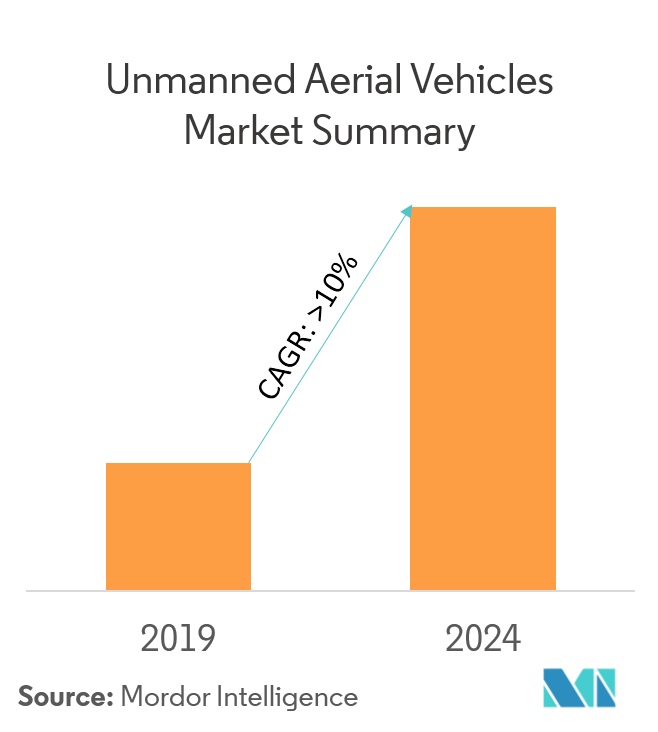 Growing applications of UAVs for various commercial purposes, like remote sensing, photo and videography, oil, gas, and mineral exploration, disaster relief, recreational uses, and other purposes, are driving the growth of the market studied. UAVs are now being largely used in performing ISR missions, the target recognition, and electronic warfare. Defense ministries around the world are investing in this capability, to reduce troop casualties, and as they are a less costly alternative to manned aircraft. However, the strict airspace regulations across major countries of the world, especially the United States, where FAA pioneered in setting regulations for commercial use of drones in the region, may hamper the growth of the market studied. UAVs are pilotless aircraft, either controlled by remote control by a human operator, or autonomously by onboard computers, and uses aerodynamic forces to navigate and perform desired functions. The report on unmanned aerial vehicle (UAV) market covers the usage of UAVs in the commercial, civil, and military applications. Moreover, the UAV market has been segmented based on the size of the UAVs. Small UAV are group 1 UAVs, which have a maximum gross takeoff weight (MGTW) of about 0 - 20 lbs. Medium UAV comes under group 2 UAVs, which have an MGTW of about 21 - 55 lbs. UAVs classified under group 3,4, and 5 are known as large UAVs. The large group of UAV has an MGTW of more than 55 lbs. Since earlier times, UAVs have been considered to be the major source of collecting intelligence through reconnaissance, as well as surveillance. Owing to the capabilities possessed by the UAVs to reduce the risk of loss of human life, UAVs have gained significant traction among various government worldwide in the last 10 years. Various countries are facing difficulties to reach borders (covered with mountains), such as the Indo-China border, to collect intelligence, which is why drones with advanced ISR capabilities are used to collect data from that region. The deployment of a new vertical take-off and landing fixed-wing drone on a missile guided destroyer by China in 2019 may lead to the done performing reconnaissance and search missions with long range for frigates and destroyers. Thus, the aforementioned advancements may lead to high growth of drones in the military segment. 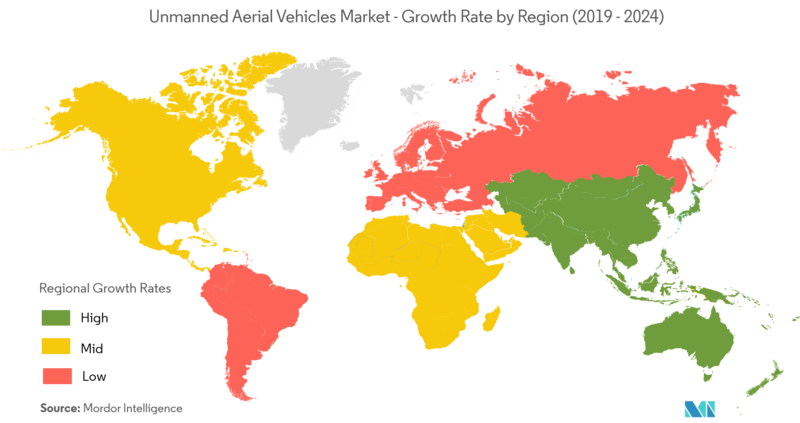 Currently, North America holds the major share in the UAV market, globally. This is primarily due to the increasing use of unmanned aerial vehicles, both for commercial and military applications. The United States is a proven global leader in producing advanced unmanned systems, and a specialist in manufacturing UAVs with intelligence, surveillance, and reconnaissance (ISR) capabilities to combat warfare. However, Asia-Pacific is expected to register the highest CAGR, during the forecast period, due to the growing popularity of UAVs in the Asia-Pacific region, as well as increasing technological developments of drones in the region and changes in regulations. The procurement of UAVs in the region is steadily growing, thereby driving the growth of the UAV market in Asia-Pacific. 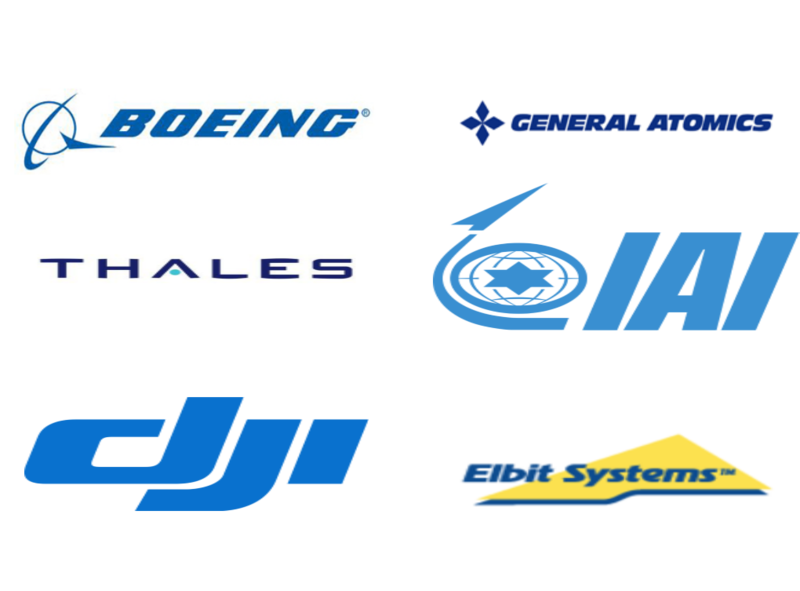 The Boeing Company, Northrop Grumman, Israel Aerospace Industries, Elbit Systems, and General Atomics are some of the prominent players in the military segment of the market studied, while the commercial UAV segment is dominated by companies, such as DJI and Parrot Drones SA, which have a large share in the small UAV segment of the market studied. Increasing military procurements of HALE, MALE, and tactical UAVs may help the military drone manufacturers to further increase their market share to a huge extent, as compared to small commercial UAV manufactures.